Is Sports Direct the future of snowsports retail? 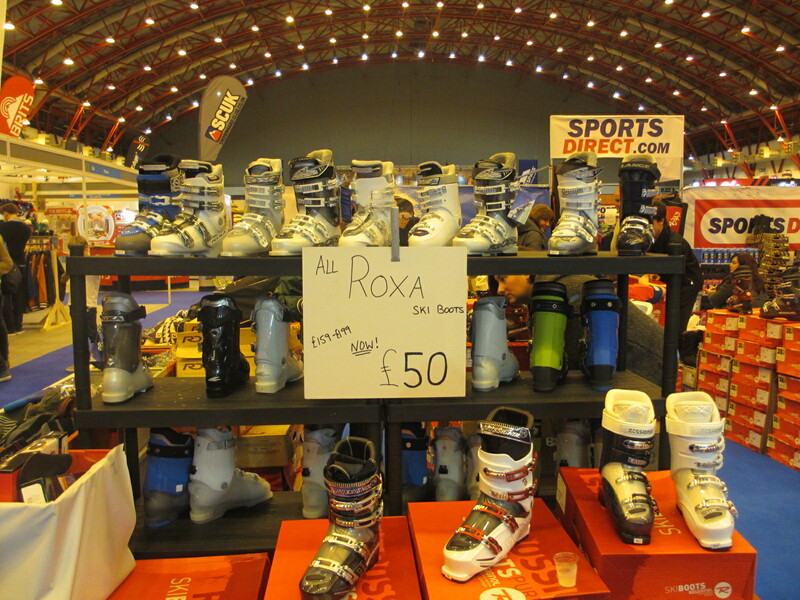 Regular visitors to the London Ski & Snowboard Show last week will have noticed one rather visible new retailer this year. 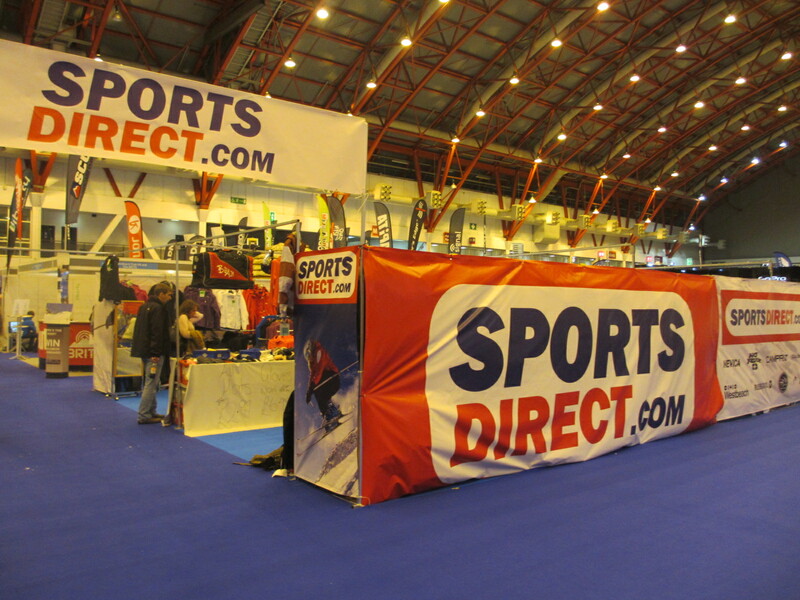 Nestling between the minimalist Snow + Rock stand and the huge footprint of Ellis Brigham was the newcomer Sports Direct. A year ago, the company – known for its ‘pile it high and sell it cheap’ approach to retail – announced that they planned to enter the snowsports sector. This followed their purchase of The Ski Warehouse and skiwear4less.com. Their goal is to win 20% of the overall market. They certainly took a no frills approach to the London Show. 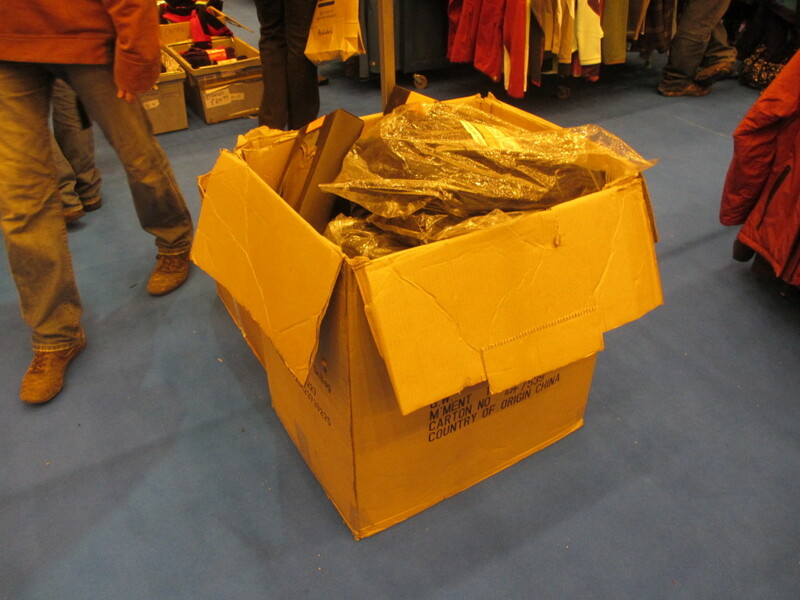 Exhibitors are usually discouraged from having cardboard boxes on their stand, but in Sports Direct’s case, this seemed to be the main way of displaying their goods. There is no doubt that the prices were appealing. 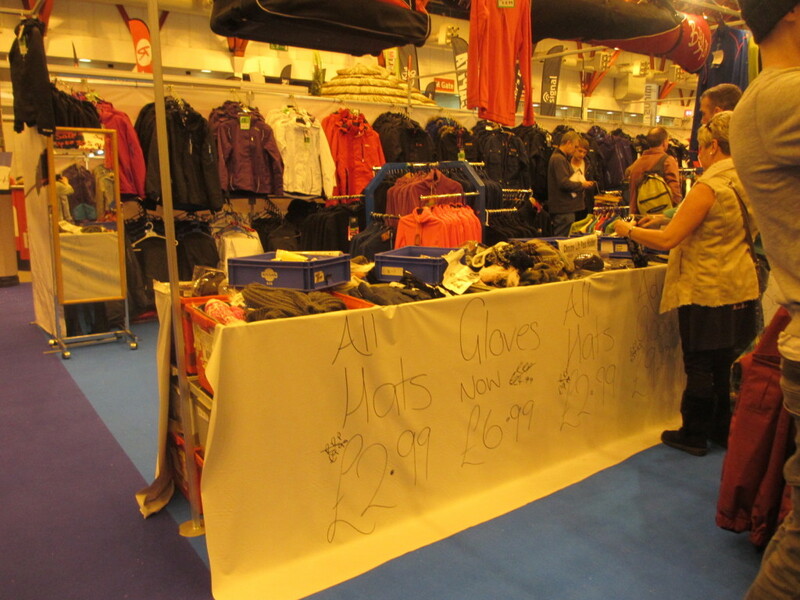 Hats for £2.99 and gloves for £6.99 were eye-catching lead-in prices and were selling well. It wasn’t just lead in products however. 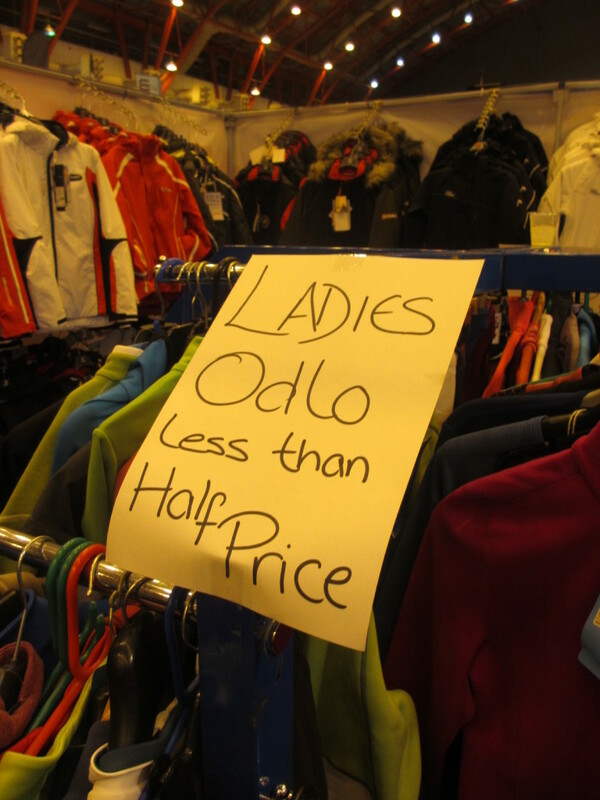 Brands such as Rossignol, Westbeach and Odlo were all available at discounted prices. 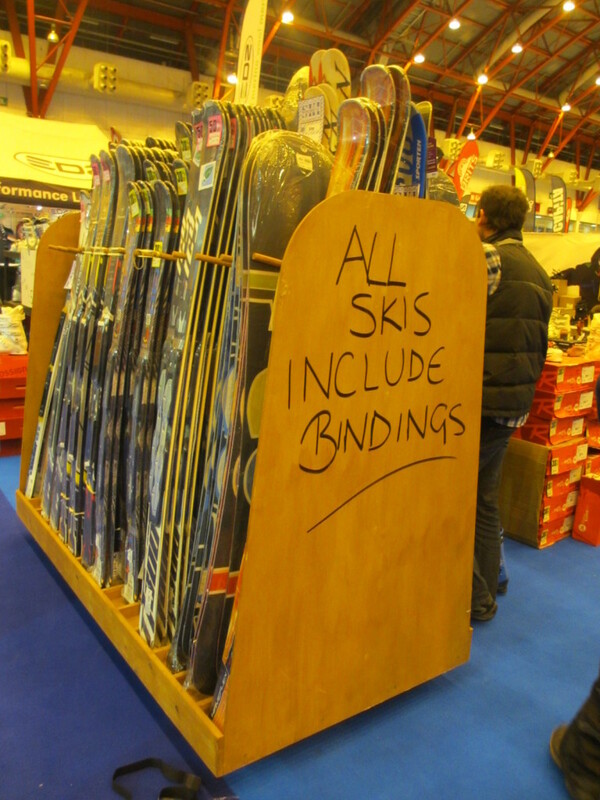 There was a wide choice of skis and boots also available. While there were none of the £150 ski/boot packages that had been rumoured the prices were still very good value. Meanwhile immediately opposite, Snow + Rock were not ‘retailing’ at all. Instead they were offering discount vouchers to buy online, as well as promoting their new in-store partnership with Selfridges. Wither the future of snowsports retail? Ellis Brigham took the middle road with 50 staff offering a personal service and claiming that sales had gone well. So which of these three models will prevail? Perhaps there is room in the market for all three, but we suspect the time will come when Ellis Brigham scale down their presence as well. 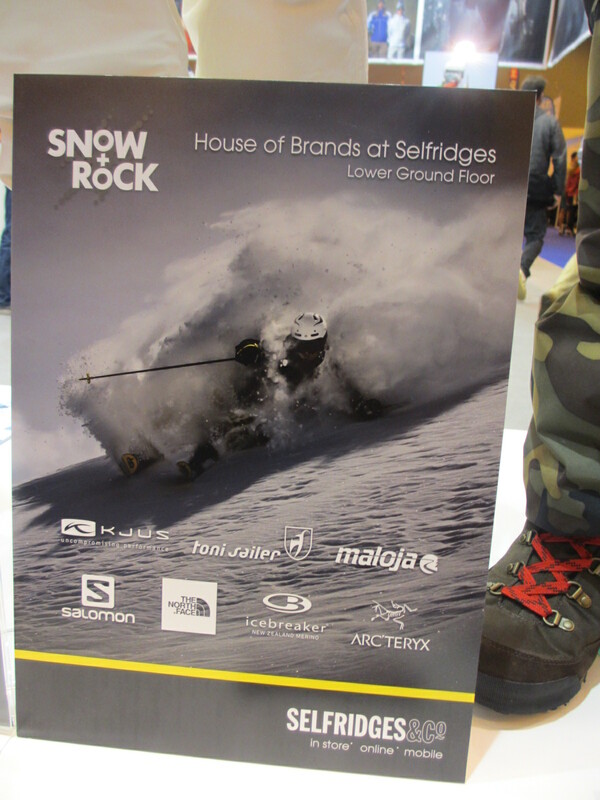 Snow + Rock could increase their sales by adding QR codes to their stand, allowing customers to take advantage of the online discount immediately (before they lose the voucher on the way home). And Sports Direct? If you can sell enough, even with the tiniest margin, you can still make a profit. Pile it high and sell it cheap has a future in snowsports, whether we like it or not.